Chondrodysplasia ("Dwarfism") occurs in almost all species of animals. However, its manifestation isn't the same in all species, or even within species - such as dogs. In each breed in which the problem has been studied, the "dwarf" appearance is accompanied by another defect, and rarely the same defect in different breeds. 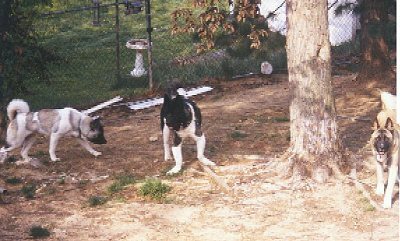 Although much can be learned by studying Chondrodysplasia in other breeds, it will take a concentrated effort among Great Pyrenees fanciers to find definitive answers in our own breed. 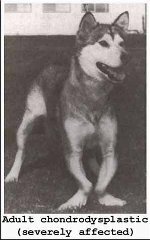 The Alaskan Malamute Club of American was one of the first to recognize Chondrodysplasia and to work toward a formal study of the problem. The Minnesota Malamute Club site has an informative site about the condition in their breed. The Alaskan Malamute Research Foundation has been funding DNA research into the condition. Chondrodystrophy is being studied in Beagles through DNA studies at the University of California, Berkeley at the same lab that has offered to do the DNA study for dwarf Pyrs. In Labrador Retrievers it is associated with serious retinal defects and blindness. The American Chesapeake Club is cooperating with a study being done at UC Davis concernint dwarfism in their breed and are looking for additional participants. 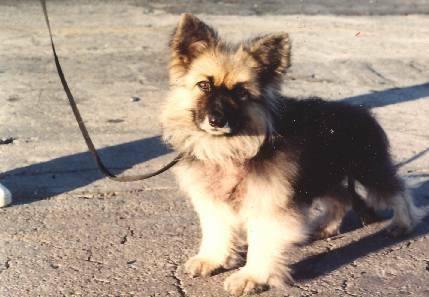 German Shepherd Dogs have a type called pituitary dwarfism and is believed to be of different inheritance than that Malamutes or Pyrs.